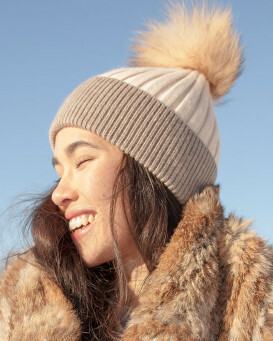 Get fancy with The Ky Double Pom Pom Beanie in Grey for women. This unique and trendy cap is constructed with a grey shell composed of soft and cozy fabrics. 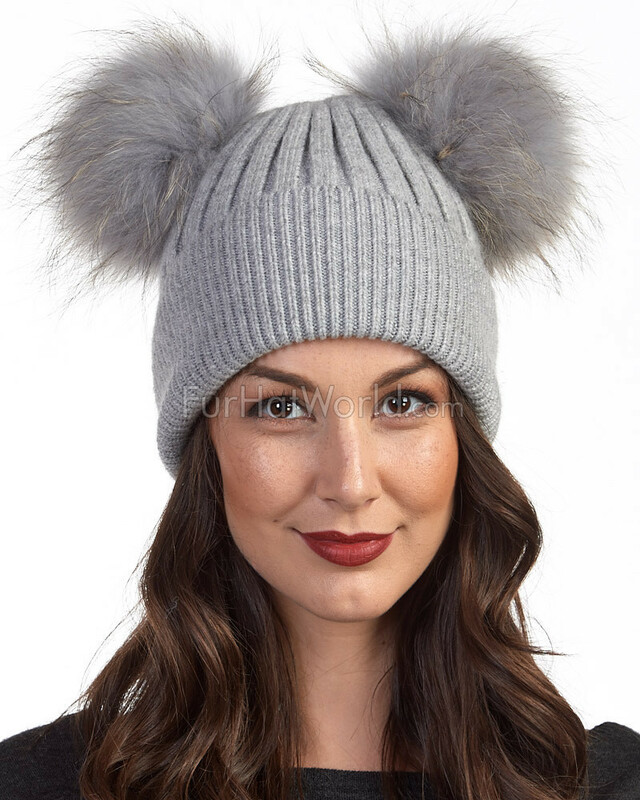 Large fin raccoon fur pom poms are dyed grey with stunning natural highlights on top. The pom poms can be removed for your liking. 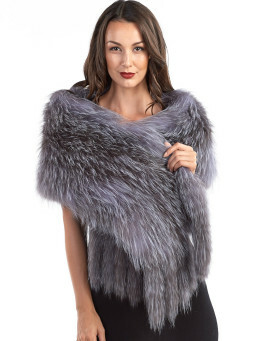 The unlined design features a stretchy knit for a one size fits all effect. The fold over cuff is adjustable for an unparalleled style. 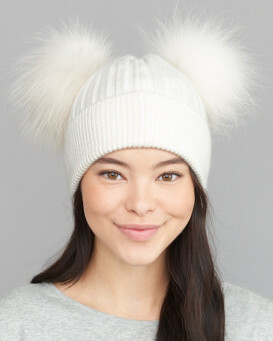 This funky beanie is unlike any other! 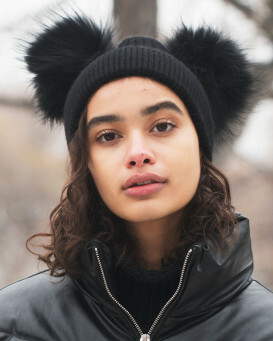 Wear this hat during a day on the slopes or to accentuate a casual outfit this winter.